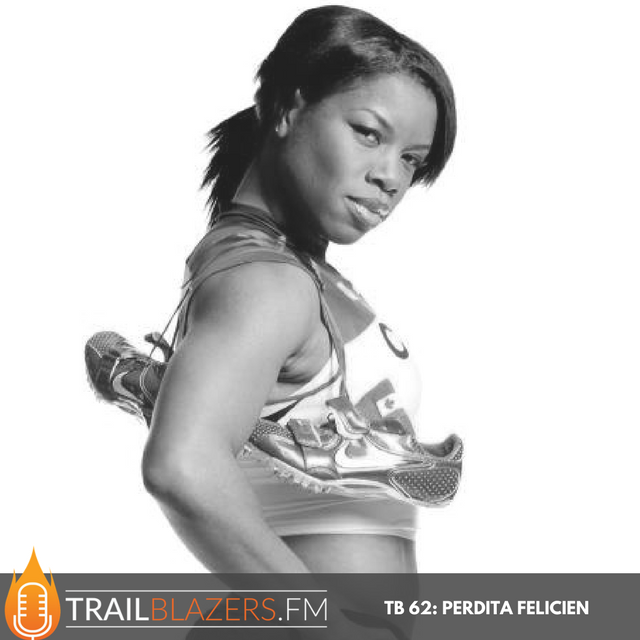 Perdita Felicien is a two-time Olympian, 10-time National Champion and the only Canadian woman to win a World Championship gold medal in track and field. During her career as a 100-metre hurdler she earned numerous honours, including Canada’s Athlete of the Year, Keys to the City of Pickering, and the Queen Elizabeth Diamond Jubilee Medal. [spp-timestamp time="05:19"] Share your thoughts on women who have inspired you and made an indelible mark on your life? [spp-timestamp time="19:39"] What point did track and field enter your world? Were you a natural from childhood? [spp-timestamp time="21:05"] What were the biggest lessons you learned about yourself on the big stage, esp by being around and competing against other legendary icons like Gail Devers, that stuck with you and helped mold you into the person you've now become today? [spp-timestamp time="30:10"] How difficult was the decision to let go of what you'd been doing for so long and pivot to the next chapter of your life? [spp-timestamp time="34:54"] Have you sought out mentors to help guide you through the years that followed your track career? [spp-timestamp time="44:29"] I'd love you to share a couple fundamental lessons (could be geared toward leadership, business or life) … but that someone listening who's having to pivot or start over, needs to know right now, to begin to lay the right foundation to grow and succeed on their life's journey. [spp-timestamp time="55:00"] Share one action our aspiring Trailblazers should take this week to blaze their trail? A long time advocate for healthy living and social responsibility, Perdita is an advocate for Right to Play and The Denise House, the women’s shelter in Durham Region that she credits with helping her family get on its feet in the late 1980s. Perdita is writing her first book, Gold Mettle, about her experience as a sports figure and first-generation Canadian. It will be published by Doubleday Canada in Spring 2018.